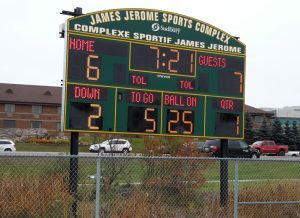 We just installed an Intelligent Caption Scoreboard in Sudbury. 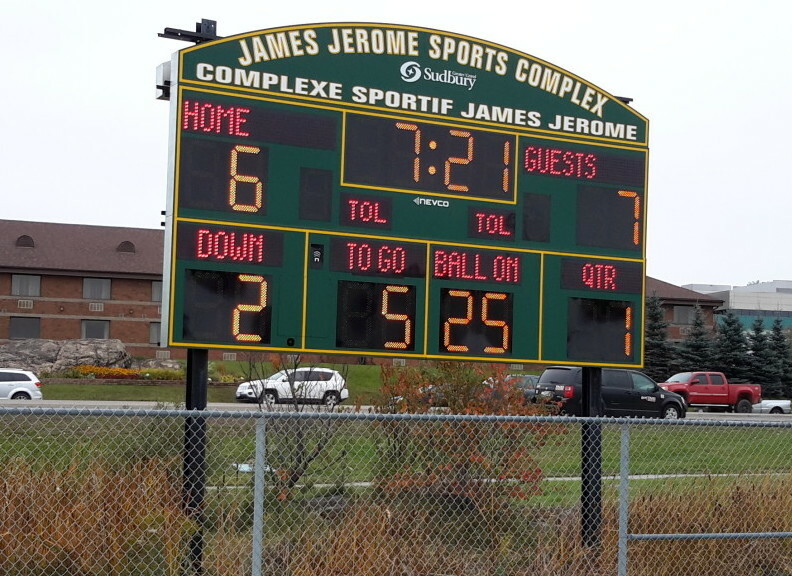 More specifically, The Scoreboard Man just completed the install of a brand new scoreboard for the City of Sudbury at the James Jerome Sports Complex. Nevco model 3680 Intelligent Caption Scoreboard features electronic caption plates that are 100% sport-specific. 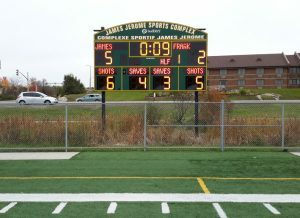 Shown with an arched sign on the front and backside of the scoreboard. The scoreboard is 18′ wide x 8′ high x 8″ deep, weighing only 550 lbs. Digits are 24″ high and are available in Red or Amber LEDs.